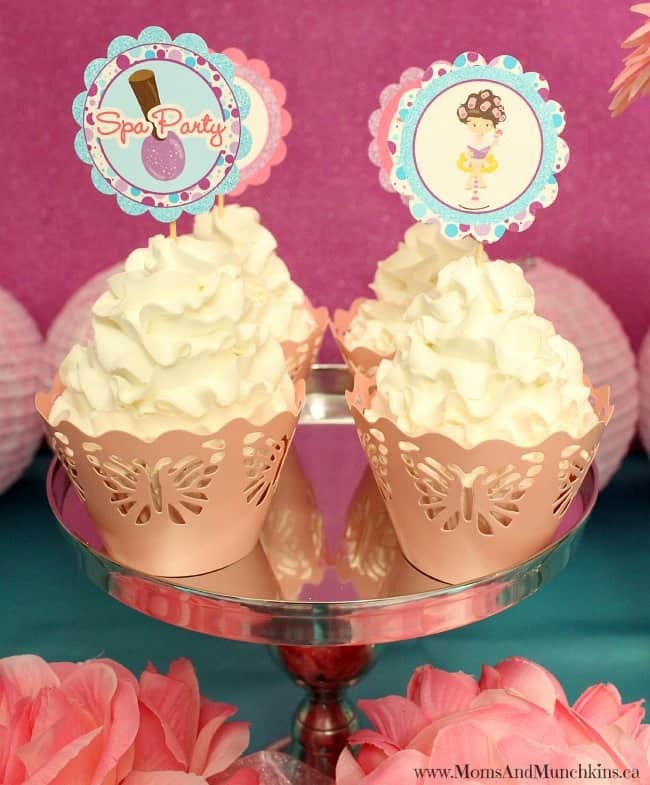 A Spa Party is a theme that all ages love! Little girls love having their nails painted and no one can turn down a ladies night of pampering and cupcakes. 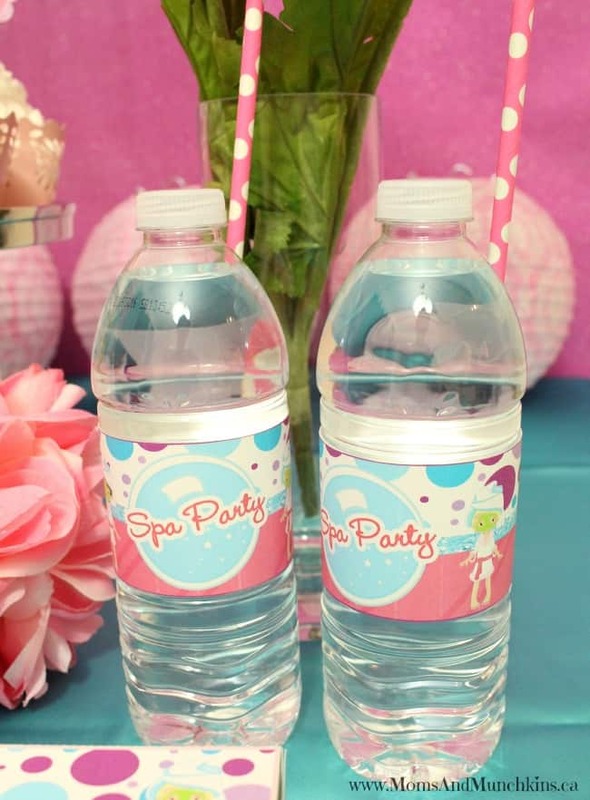 These Spa Party ideas include our latest printable set that we designed with Wendy’s Printable Party. 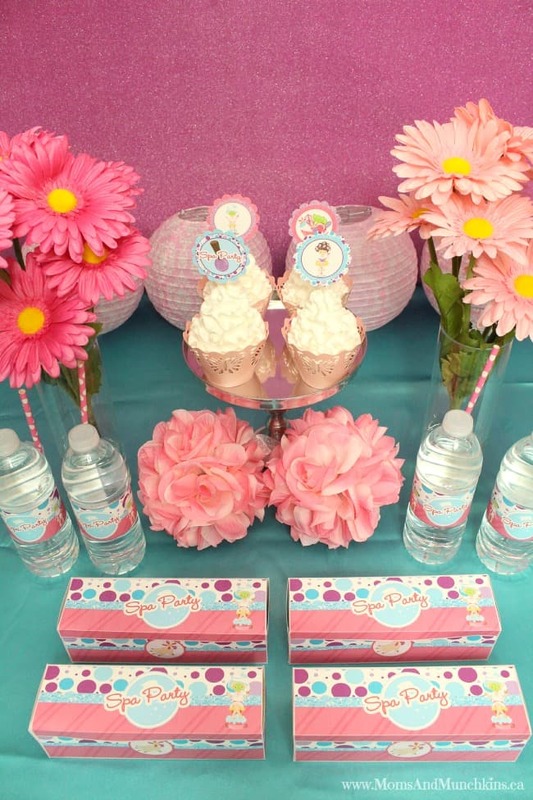 Just wait until you see the adorable favor boxes! 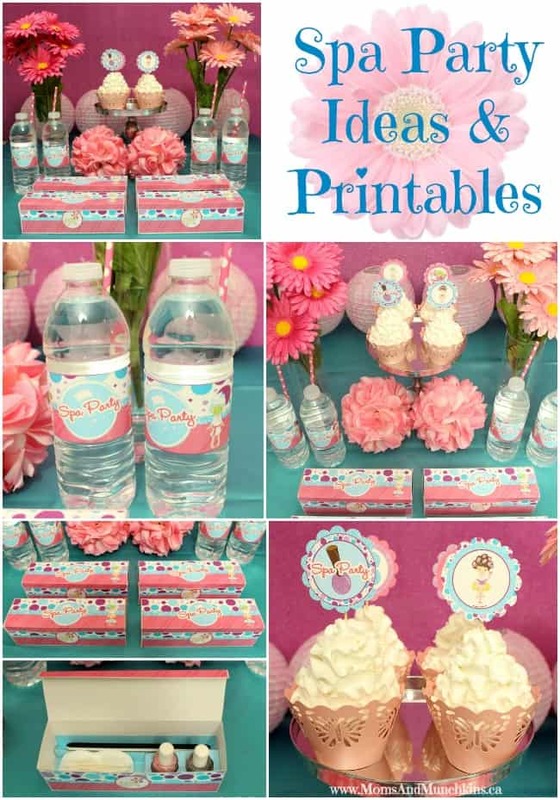 This set includes a personalized invitation plus cupcake circles, bottle wraps and favor boxes. 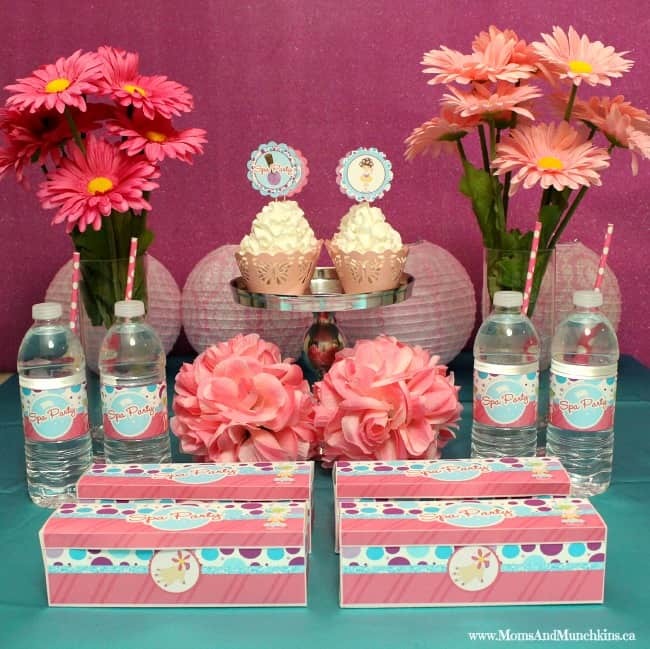 Use the bottle wraps around water bottles, pop bottles, mason jars or even as napkin rings. They also fit nicely around bottles of lotion if you wanted to send guests home with a little favor. 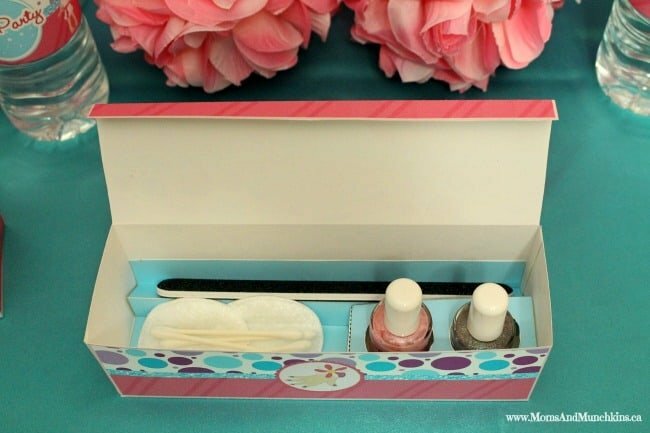 I adore these nail kit boxes and they are perfect for a spa party. You print and assemble them at home before filling them with all sorts of nail goodies! 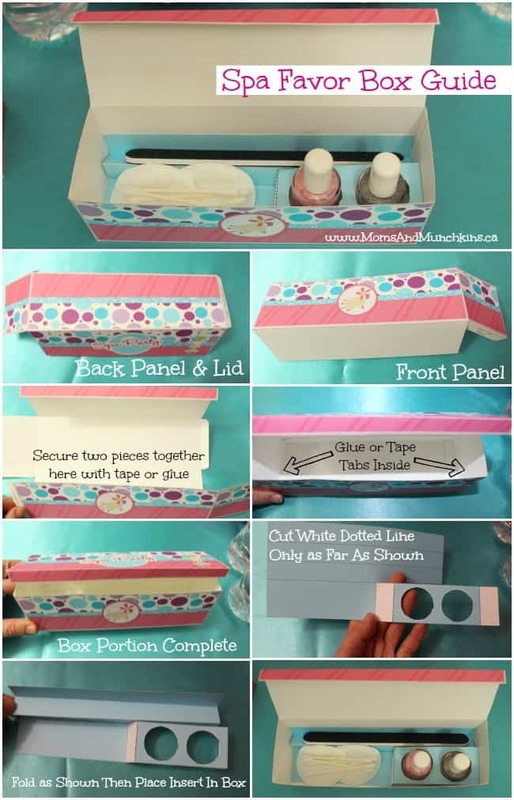 There are two holes for holding polish, an area for a nail file and then space for things like cotton swabs, envelopes of nail polish remover, nail clippers, etc. You could personalize the contents of each box for each guest. Fill one with bright colors and another with more subtle colors depending on the preference of each guest. Guests can use these at the party to do their own nails and take them home as a favor at the end of the party. Simple table decor includes pink daisies and paper lanterns. You could also include small pink towels for each of the guests wrapped with pretty ribbon. 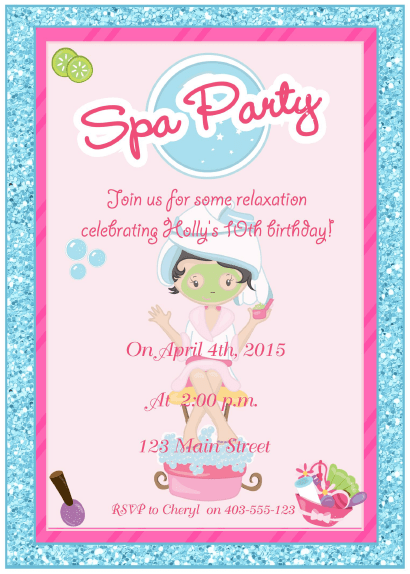 These Spa Party printables are now available in our Etsy shop! 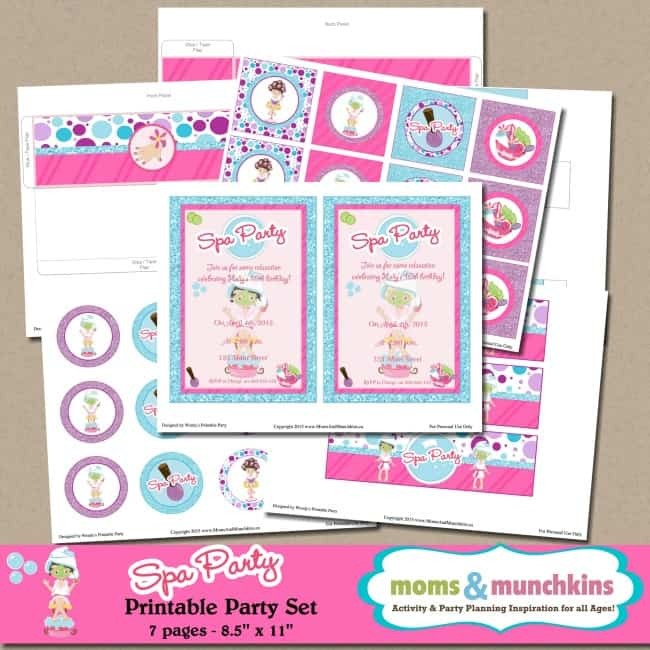 The invitation can be personalized with your party details for a small fee or you can simply print them and write in your own party information. For DIY spa treatments, visit this fun collection of spa treatment ideas that you can make at home. 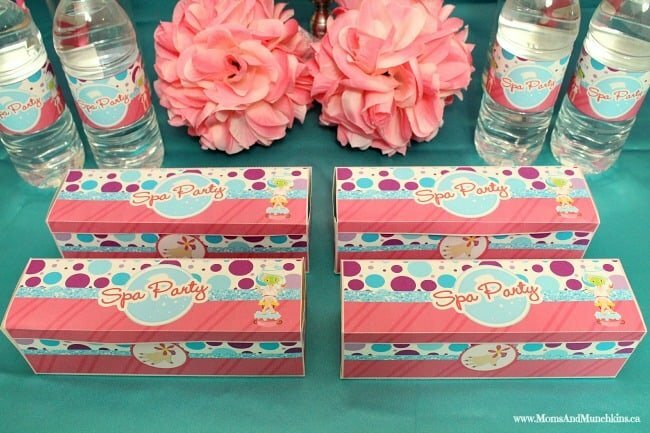 Have you ordered the Spa Party printables and need help assembling the favor boxes? Here is a picture guide to go along with the written instructions. We’re always adding new ideas for parties and family fun. Never miss an update by following us on Facebook, Twitter, Pinterest, Google + and Bloglovin’.